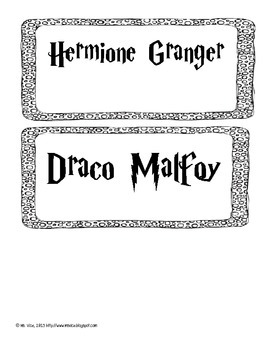 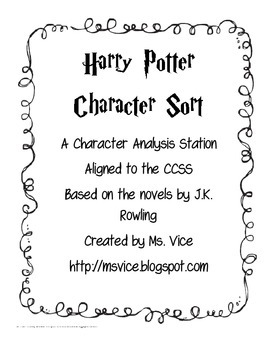 In this 35 page center, students will analyze character descriptions and match them to the main characters in J.K. Rowling's best-selling Harry Potter series. 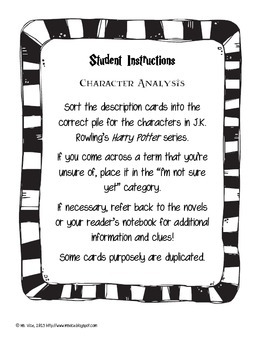 The center covers all seven novels and includes an "I don't know yet" category so that students can enjoy this sort no matter what book they're on. 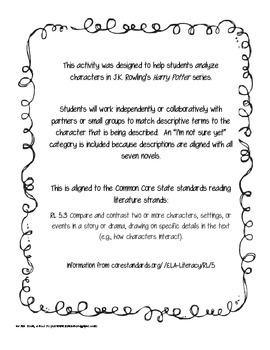 A must have for small group or whole group literacy instruction!